Shares of Mahindra Group were in focus with three companies - Mahindra Lifespace Developers, Mahindra Logistics, Mahindra CIE Automotive hit their respective 52-week highs on the BSE in intra-day trade on Wednesday. Mahindra & Mahindra (M&M), Mahindra Holiday Resorts, EPC Industries, Mahindra & Mahindra Financial Services from the group were trading higher in the range of 2% to 6%. On comparison, the S&P BSE Sensex was up 0.49% or 174 points at 35,456 at 11:33 am. Thus far in the calendar year 2018 (CY18), most of the frontline stocks of the Mahindra Group have outperformed the market by gaining up to 46% against 4% rise in the benchmark index. Mahindra Logistics and Mahindra Lifespace Developers have rallied 46% and 42%, respectively, while Tech Mahindra surged 37% and M&M gained 20% so far in CY18. Mahindra Group companies had reported a strong financial performance during the quarter ended March 2018 (Q4FY18). 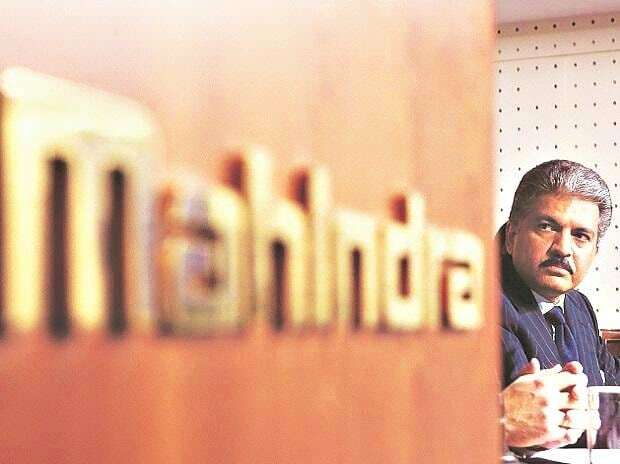 The combined net profit of eight Mahindra Group companies had increased by 71% to Rs 25.89 billion in Q4FY18. These companies had posted an aggregate net profit of Rs 15.09 billion during the same quarter last fiscal. Mahindra Logistics hit a high of Rs 653, its highest level since listing on November 10, 2017. The stock rallied 52% from its issue price of Rs 429 per share. The company reported 70% year on year growth in its consolidated net profit at Rs 210 million in Q4FY18. Mahindra Lifespace Developers too hit a fresh 52-week high of Rs 669, surging 23% in past four trading sessions on the BSE. The real estate company today announced the launch of residential project ‘Ronts’ at Kandivali (East), Mumbai to cater domestic and international market. “A new affordable-housing launch (maiden offering on the HDFC platform) helped clock Mahindra Lifespace Developers best quarterly value bookings in the last six quarters. Healthy bookings (especially liquidation of ready inventory) and a good pace of project execution aided cash flows (the highest collections in the last eight quarters),” analysts at Anand Rathi Share and Stock Brokers said in company update. Performance for the integrated industrial development segment was satisfactory, with six new deals. Portfolio augmentation is the only missing piece, but in discussion five MoUs raise hope of a better future. With a host of residential launches planned and integrated industrial development set for better financials, the future looks bright, added report.